The new restaurant in the old Federal-style Sherwood House on Church Lane across from the Y will be “a step above” McHugh’s Southport cafe, the Staples grad says. The Spotted Horse's new fence and gas lamps, looking east with Christ & Holy Trinity Church in the background. As workers installed gas lamps today — and put the finishing touches on a handsome, low white fence — Kevin gave a quick tour of the interior. He pointed with pride to Colonial elements that remain in place or have been restored, as well as the exposed rustic beams. But a great horseshoe-shaped bar is taking shape too. Hey, it’s the Spotted Horse, right? People say they feel a “2012 version of Tavern on Main” vibe. 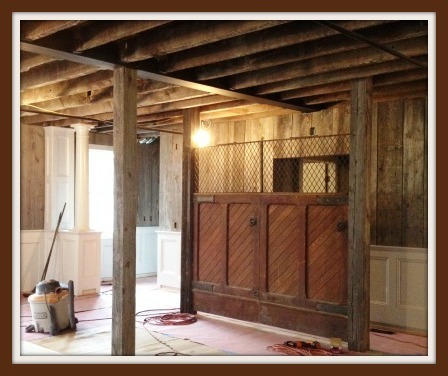 It will be “rustic, with a contemporary equestrian theme,” Kevin says. It will also have — at least at the start — the imprint of Pedro Garzon. The former owner of Manolo — almost next door — will open the restaurant as a consultant. And the Spotted Horse will have a Continental menu, with no dish over $22.95. The opening is scheduled for mid-March. Exposed beams and restored elements highlight the restaurant's interior. This entry was posted in Downtown, People, Restaurants and tagged Cafe Manolo, Grey Goose restaurant, Pedro Garzon, Spotted Horse, Tavern on Main. Bookmark the permalink. I gotta tell you, like him or not, Waldman did a helleva job down on Church Street. I go to the Y every day and it is like a breath of fresh air walking passed it now. You can even get a parking spot in the Church parking lot now too! It seems like there have been a lot of new eateries opening in town during the past few weeks. What is it that is encouraging business owners to take the risk in this economy? Hope runs eteranal in America!!!! About time we were positive around here! Love The Little Pub in Ridgefield. Westport trying to keep up with the neighbor Fairfield. Long way to go. Have to agree with The Dude that David Waldman has done a fabulous job on Church St. Every building looks absolutely first rate. I love the persimmon colored steel and glass building next to Manolo’s, and the new colors on the stucco buildings in the back. 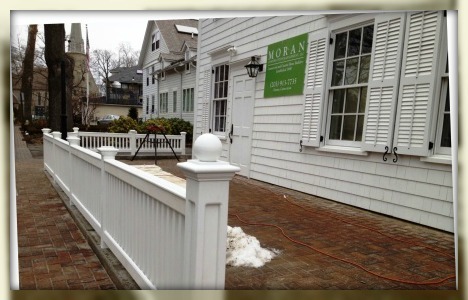 Clean, modern architecture and design meet antique, classic New England style. A great job by David and his design team! Thank you, David, for going the extra mile, not to mention added expense, to give us timeless design, first class renovations and a cohesive look on Church St. This kind of vision and high standard should be the rule, and not the exception, for commercial development.